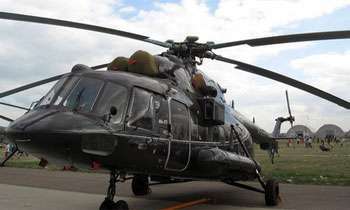 Sri Lanka is negotiating with Russia the purchase of a new batch of Russian Mi-17 helicopters, which the country will use in UN peacekeeping missions, Sri Lankan Ambassador to Russia Dayan Jayatilleka told Russian Sputnik on Sunday. "There is a commission that discusses the purchase of Mi-17 helicopters," Jayatilleka said, specifying that the country was going to purchase the helicopters for taking part in UN peacekeeping missions. The ambassador recalled that Mi-17s were on the agenda of a Sri Lankan senior defence officials' visit to Moscow in early September 2018. While negotiations are underway, no specific document has been signed yet, and the number of helicopters that Sri Lanka is going to purchase has not been defined, Jayatilleka specified. Sri Lanka has been purchasing Mi-17 helicopters since the early 1990s. Are we counting on getting a continuous income stream from international peace keeping. If we dont, who pays for these purchases? Don't our politicians have better plans to develop the country than "sending men for peacekeeping to get killed and women for domestic work to get beaten-up". Is this a deal put through by Dayan as a pay back to the intermediary for recommending him to the President to be appointed to the post of Ambassador? Who is the intermediary or agent or broker for this deal? Dayan, what is the commission?